At Smith Sovik, we understand the importance of responding immediately to an accident involving one of our client’s trucks or vehicles. That’s why our lawyers are available 24/7 to travel to an accident scene and offer valuable legal advice and protection. We also retain investigators, photographers and experts who will visit the accident within hours. We know that actions or statements made to law enforcement can have a lasting impact on a case, so we provide drivers with immediate advice. We also account for technological advancements like the Electronic On-Board Recorder, so we’re better able to protect our clients’ data and avoid spoliation of important evidence. 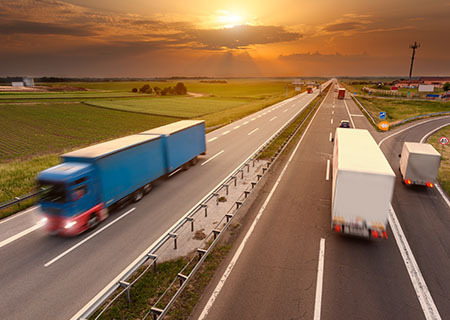 Smith Sovik lawyers are proud members and contributors to the Trucking Industry Defense Association, Transportation Lawyers’ Association and DRI Trucking Law Committee. So whether our clients need help settling a difficult case or gearing up for a trial, they can count on a creative legal defense that is practical, cost-efficient and built on decades of trucking litigation experience.